Here we look at how business leaders and managers working to improve call centre performance metrics can use Unified Desktops and System Simulations to gain a competitive advantage and move the dial on their KPIs. Few outside the industry would imagine the complexities of work as a call centre agent. Over half rely on 5 or more different desktop applications to serve one customer, while over 20% will sometimes use 10 or more applications for a single call. Such a role requires quick-thinking, dexterity, and multi-tasking abilities – performed while demonstrating excellent customer service. This is asking a lot of staff in a sector that has one of the highest rates of attrition at 26%, which is 11% higher than the UK average. If a large proportion of your workforce are relatively inexperienced and you are giving them a complex challenge, this can be a recipe for inefficiency and mistakes. However, successful call centre operations are turning to a couple of technology solutions in particular to improve staff performance, and these are Unified Desktops and System Simulations. any other windows that are frequently used by the agent. The best unified desktop software solutions will intelligently assemble the interface based on the most appropriate combination of information and prompts before the agent even starts the call. That way, the contact centre agent will be able to focus on delivering the best possible customer service interaction, without using his or her attention on finding the screens and information required to serve the enquirer. Ideally, unified desktops will offer more than just presenting multiple application windows in a neat manner though. A bespoke solution can be set up to collate the most useful and / or frequently accessed raw data and present it in the form of charts, tables or graphs that may assist the agent. Again, this information done in the background frees up the call centre agent’s mental capacity to concentrate on problem solving and delivering the best possible customer experience. The end result of unified desktops tends to be reduced average speed of answer (provided there is little to no lag while the software builds the interface in preparation for the call) and reduced average call handling time. Improving these call centre metrics in turn should bring reduced average time in queue. 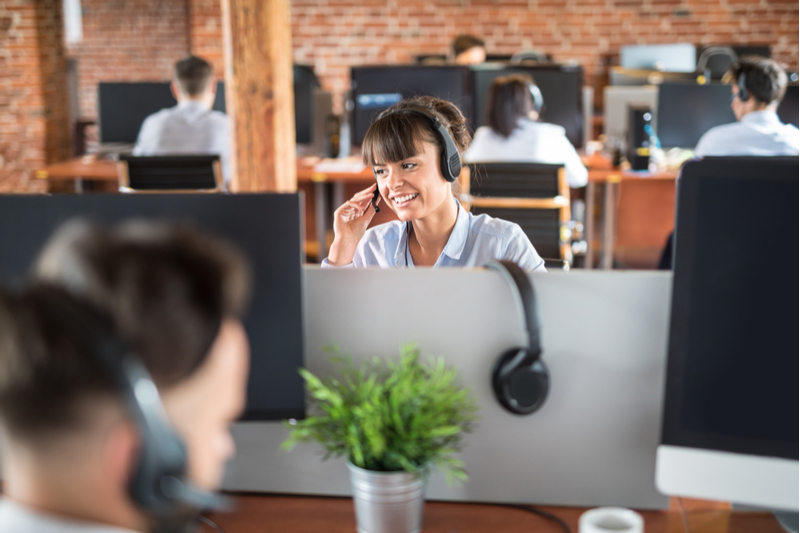 As these are three of the most important call centre KPIs for customer satisfaction, it’s clear why unified desktops can improve call centre performance. Whatever the mix of desktop applications used in your call centre, a traditional, classroom-based training environment, and even mentor-led or peer to peer practice scenarios can only prepare your staff so much for the live environment. By introducing call centre desktop system simulations, you can create a learning environment where employees practise using your software while simultaneously running through common and potential customer scenarios. Virtual customers, peers or mentors can interact with the trainee on practice enquiries, giving the contact centre agent the most realistic possible experience before he or she is let loose on your real-life customers. Whether your staff are juggling multiple legacy and modern in-house applications with off the shelf software or already bringing them together with a unified desktop, system simulation training will help to give them the skills, experience and confidence to work to the best of their abilities in delivering customer service excellence. Lack of good training is cited as one of the most common reasons for people to leave their employer, while poor customer service has caused nearly half consumers to move to a competitor. Simulation based training can move your business up a level in both these areas – helping you keep your best staff by making them feel both confident and valued, and helping those employees to deliver customer service excellence. Call centres are a high-tech, complex working environment. In many other industries, especially where reducing complexity and friction, and ensuring maximal staff performance, is of the utmost importance – such as aviation and medical – it’s a given that they will make the best use of the latest technologies to empower their teams. For business leaders or HR / L&D managers looking to improve call centre performance metrics, leveraging the latest technology, such as unified desktop software and simulated systems, could be a very wise business move.